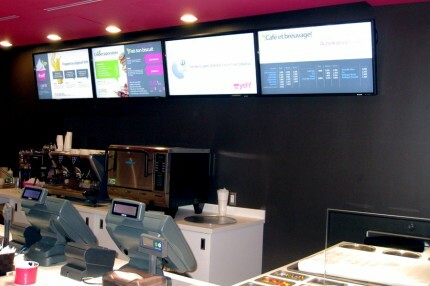 Here are some pictures of a new Digital Menuboard installation at a new Yeh! 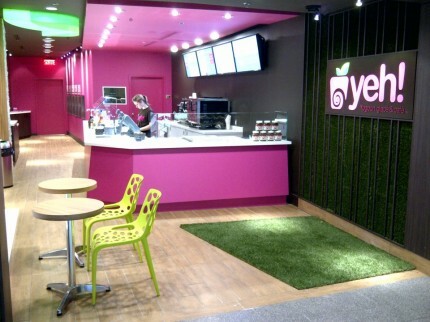 Yogourt location in Montreal’s Centre Eaton. Yeh! Yogourt Glace and Café was founded in 2008 by Jean-Daniel Nadeau and Grace Yeh, who shared a passion for frozen yogurt and a dream to be the first to bring the exciting experience of self-serve frozen yogurt to Canada. 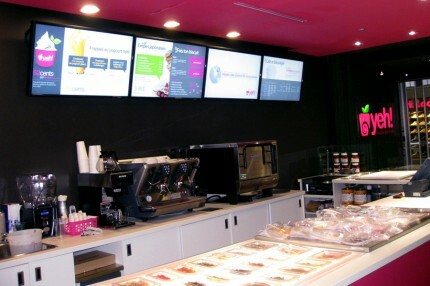 The four-screen menu array is powered by Mirada Media’s ChannelView System and is displayed by 42-inch commercial Sharp LCD’s. Content can be changed from Yeh!’s head office via our web portal application. We’ll have more information regarding the installation soon. In the meanwhile, here are a couple more images below.